For 5 weeks this winter at NY City Center, the Ailey company brings you dance that reveals our deepest humanity and our capacity to endure. For five weeks this winter, the Ailey company brings you dance that reveals our deepest humanity and our capacity to endure. See the world premieres of Jamar Roberts’ Members Don’t Get Weary and Gustavo Ramirez Sansano’s Victoria, plus the Company premiere of Robert Battle’s Mass along with new productions of Twyla Tharp’s The Golden Section, Jawole Willa Jo Zollar’s Shelter, and Talley Beatty’s Stack-Up. Every performance day, on a first-come, first-served basis, a limited number of $31.50 Rush tickets will be made available at 10 AM. To unlock this feature, Alvin Ailey American Dance Theater simply requests that you spread the word on social media through our app. Company may offer programs whereby the Company would make available certain features of the Services when you share information about the Services through an SNS or click on the “Unlock without sharing” button in the Application. 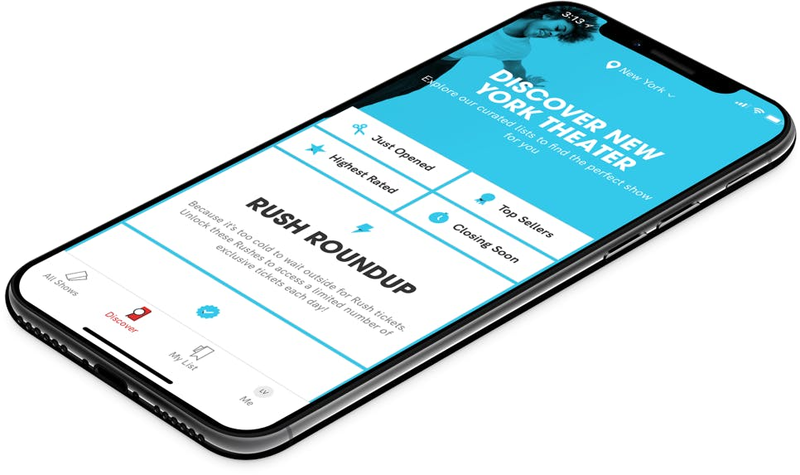 When you are considering purchasing a ticket for a specific show or after you purchase a ticket, if you select the “Share” button in the Application, Company will make available to you a personalized link to a Digital Property with text stating, for example, “Check out Alvin Ailey American Dance Theater (2017) on TodayTix! I’m thinking of going…” or something similar, which you may choose to share with your friends via SNS. Once you have shared the personalized link through an SNS using the Application or selected the “Unlock without sharing” button in the Application, Company will make available to you the RUSH feature, which will provide you with otherwise unavailable offers for tickets to live events occurring in the next week. The opportunity to take advantage of these offers is only available to users who share a personalized link to an SNS through the Application or select the “Unlock without sharing” button in the Application.